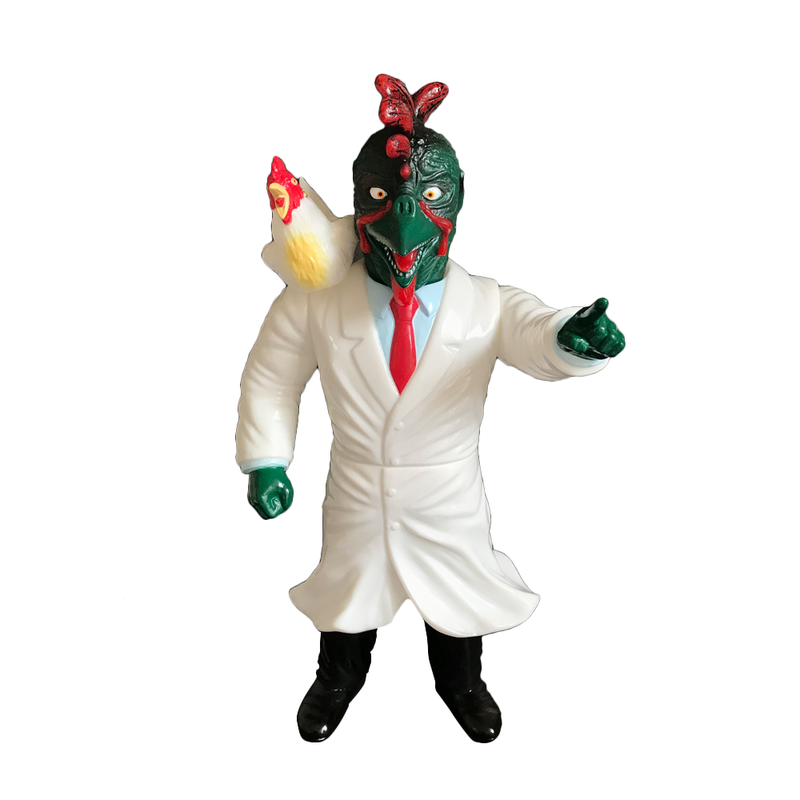 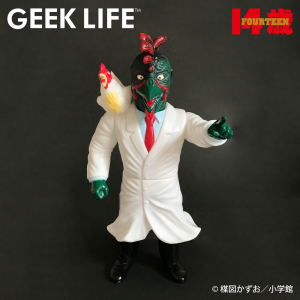 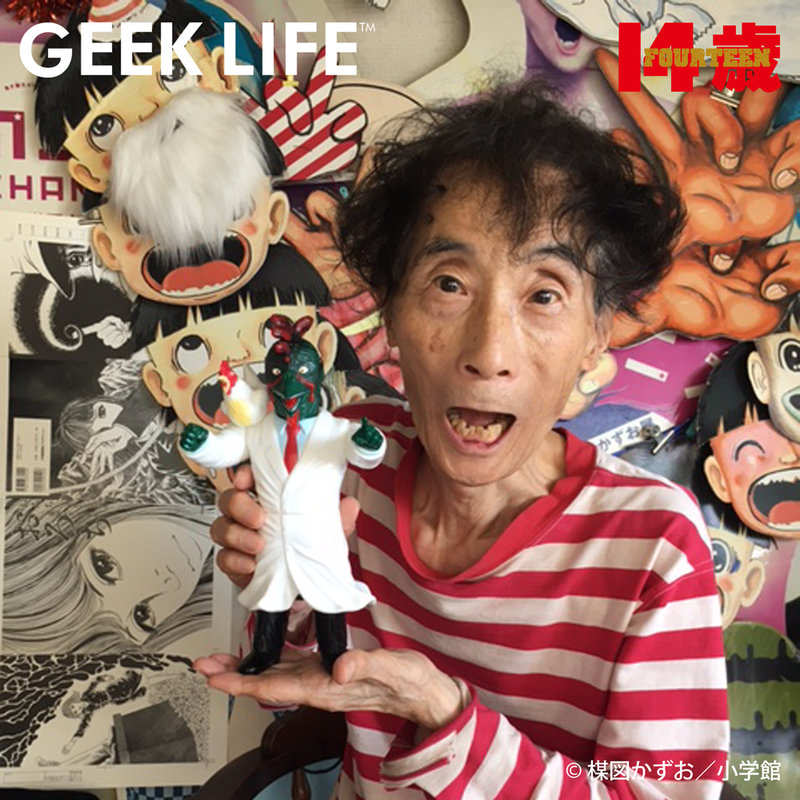 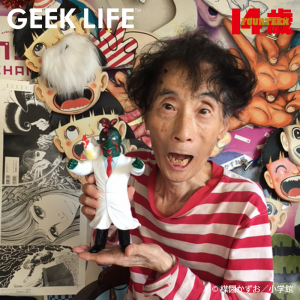 GEEK LIFE™ is proud to announce their new 「Kazuo Umezu’s Horror Sofubi Series」! 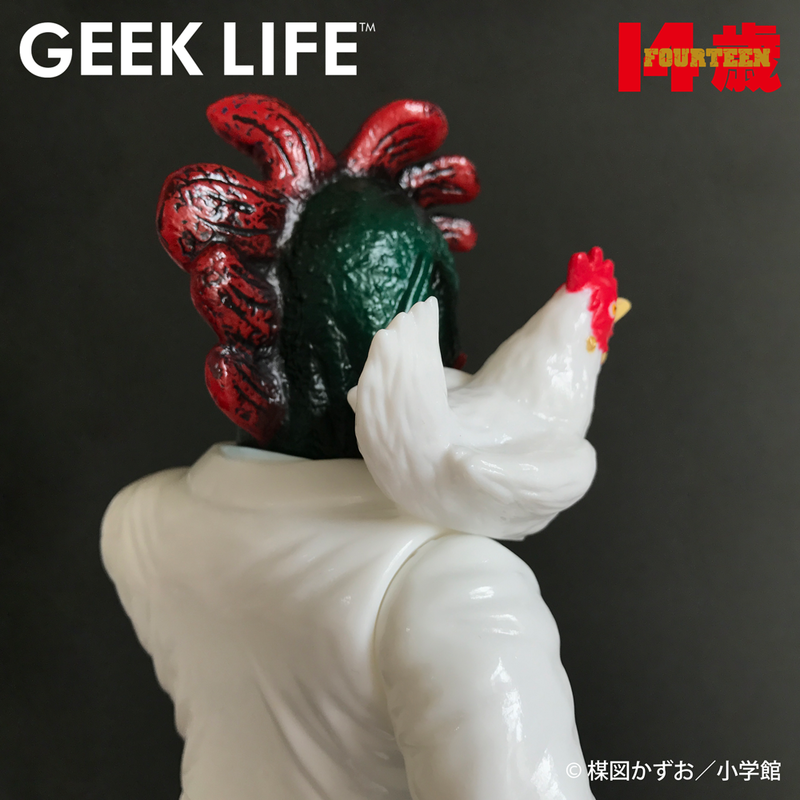 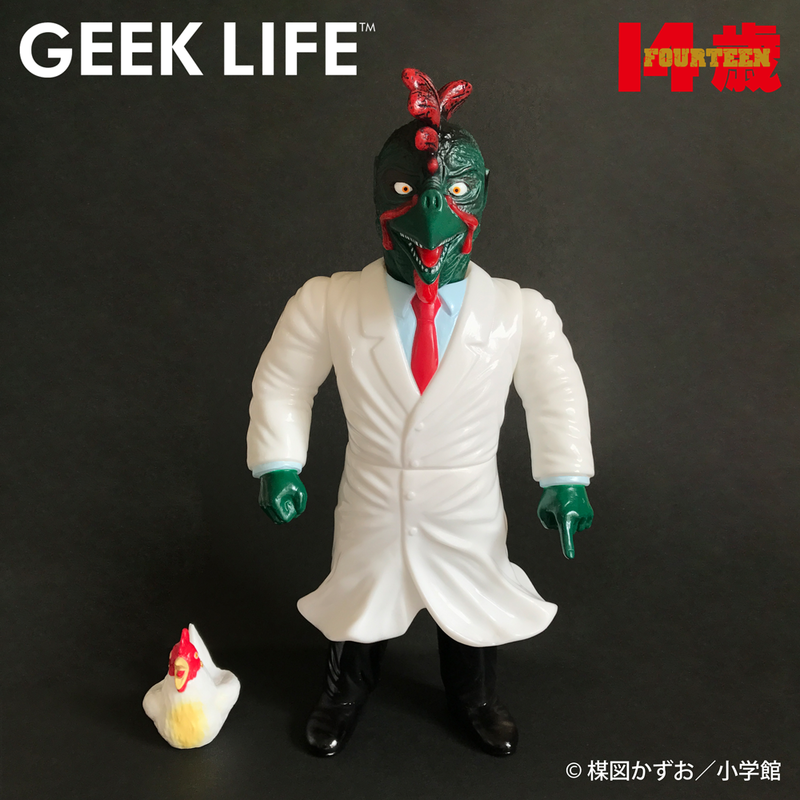 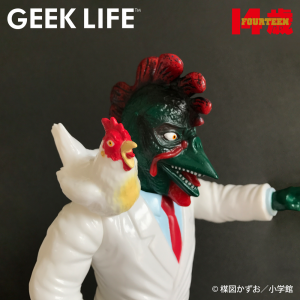 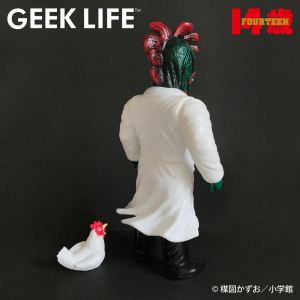 For our first figure, here comes Chicken George from the famous SF Manga 『Fourteen』! 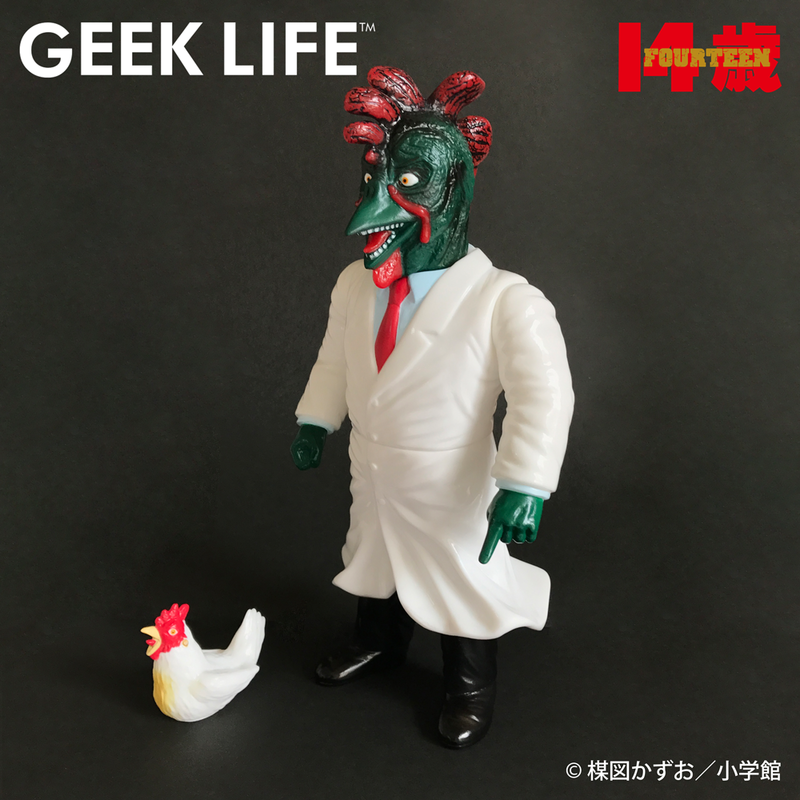 This figure is coming with Chicken Lucy as a finger doll! 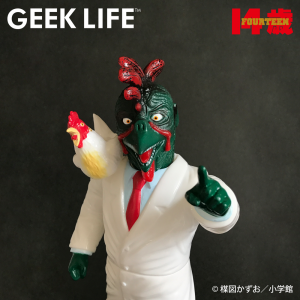 You can also put it on Chicken George’s shoulder thanks to a magnet.